Buy miles and get up to 100% bonus miles with your purchase for a limited time. Promotional offer valid until 11:59 p.m. CT on July 26, 2018. 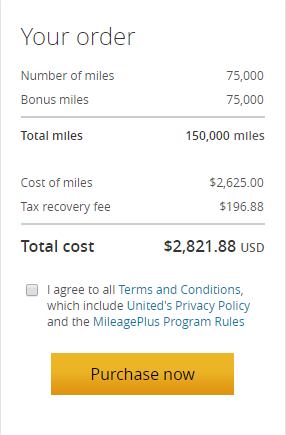 Miles are available in increments of 1,000 up to a maximum of 75,000 miles.